Telko S003M IR motion detector, Radio Shack 49425 Motion Detector 2-Streetwise PIR Sensor Motion Detector, 2- Copper Dowsing rods, Uniden 1400 FRS radio, Cobra PR 155 VP 2-Way Radio 2-Motorola Talkabout 5950 Two Way FRS Radio, 2-Cobra Cleartalk FRS radio, 2-Uniden FRS radio, 2-Bellsouth FRS radio, 2-Cobra Cleartalk FRS radios, 2-Bell South 18 channel 2 way FRS radio, 2-Uniden TR620 FRS radio, 2-Motorola Talkabout® FV200R two-way radio. This was SJGR's first visit to this private home in Haddonfield, NJ. We were asked to come by the client after they experienced hearing voices and footsteps as well as other audio phenomena, movement of objects, apparitions, and cold spots. Nearly all the investigators picked up on the same spirits in the home; a little boy of approx. 5 years old, an older female, and a male in his 30s who may have died from lung disease. The physical evidence collected consisted of 5 EVPs, some of which appear to interact with investigators and their questions, and 19 positive photos with energy orb anomalies in them. Slightly more than 4.2% of the positive photos obtained falls within the normal range, and some photos correspond to events investigators were experiencing at the time the photo was taken. There were no anomalous EMF, motion sensor, or temperature readings obtained during the investigation. 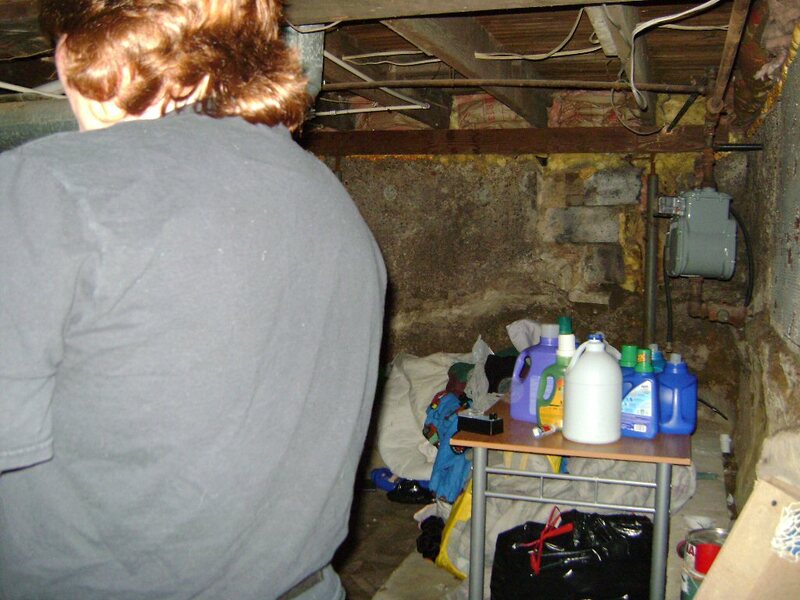 10:11pm - Investigator M. Carroll took this photo after Investigator Haines is touched in the Basement. 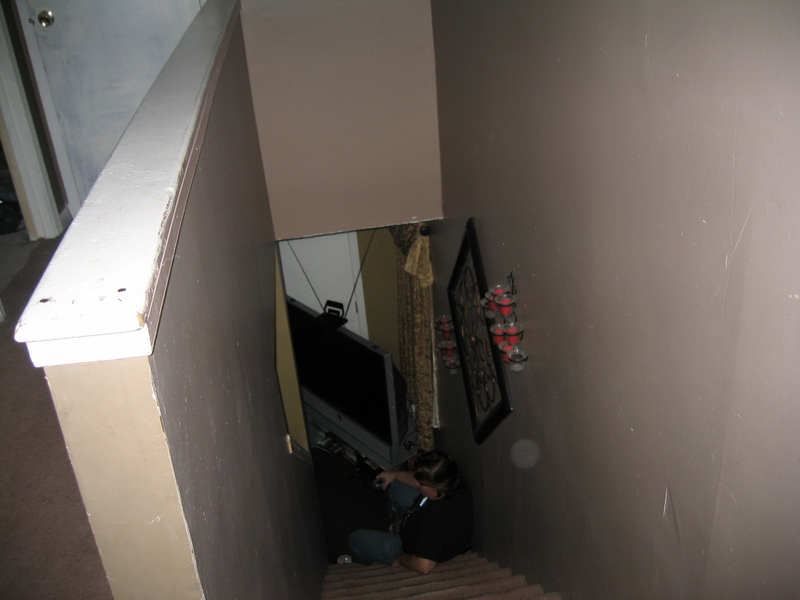 11:10pm - Investigator Apostolico took this photo as both she and Investigator Haines were sensing a little boy. 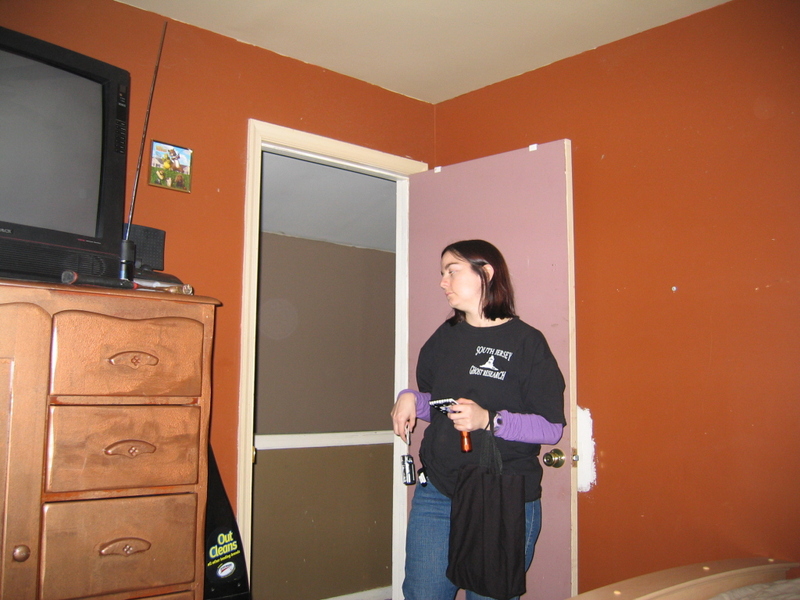 11:31pm - Investigator Apostolico took this photo when Investigator Kelleher sensed someone near the doorway of the Master Bedroom.